You find our certificates for download here. This tenet serves as an incentive and an obligation in equal measure. Adherence to this policy has been responsible for our growth from a small garage shop to the world’s largest manufacturer of Rotating Unions with a world-wide sales and service network. Wherever water, steam, oil, coolant lubricants or other media have to be conveyed into or through turning machine parts, like rollers, shafts or spindles, rotating unions are employed in a wide range of industrial fields. Developed in 1945, and continually improved as a result of practical requirements, DEUBLIN Rotating Unions are at the cutting edge of technology today. 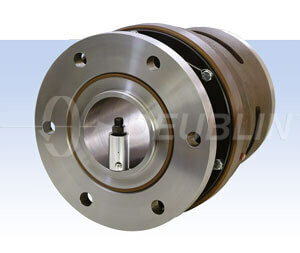 DEUBLIN Rotating Unions - the industry standard. Our customers can rely on our engineering expertise, R&D capabilities, manufacturing techniques and nearly 60 years of knowledge and experience. Our product range is constantly being developed and expanded. In addition, we offer special solutions, customer specified variations and modular designs which enable us to provide users with the perfect solution for virtually any application. Direct contact with customers and a close collaboration with the original equipment manufacturers provide the basis for continuous improvement. Quality encompasses our entire enterprise. At DEUBLIN, reliable products at competitive prices and just-on-time deliveries are standards. This, of course, requires an integrated total quality control system that is practiced in all areas of our organisation. Quality is the result of teamwork! DEUBLIN has its Corporate Headquarter in Waukegan, USA. For over 30 years the facilities in Germany and Italy have been producing for the European, African and Near Eastern Market. Besides sales and warehouse facilities in almost every country in Europe, we also have company owned subsidiaries in Brazil, China, Germany, Finland, France, Italy, Japan, Mexico, Austria, Poland, Singapore, Spain, South Korea and the United Kingdom. 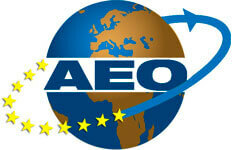 Our customers can rely on our worldwide manufacturing and sales & service network. Years of experience, constant dialogues with customers, in-house and supplier innovations have enabled DEUBLIN to offer reliable rotating unions at the cutting edge of technology. The right seal combination compatible to the media guarantees the maximum service life for every particular application. A clean and efficient warehousing and handling of the union is just as much a prerequisite for our customers as the adherence to the DEUBLIN specifications. The market demands more products with a longer service life at more extreme parameters. Besides new developments and the constant modification of existing products, it is above all better wear-resistant seal combinations that accommodate these market demands. DEUBLIN offers these seal combinations under the designation E.L.S. (Extended Life Sealing).